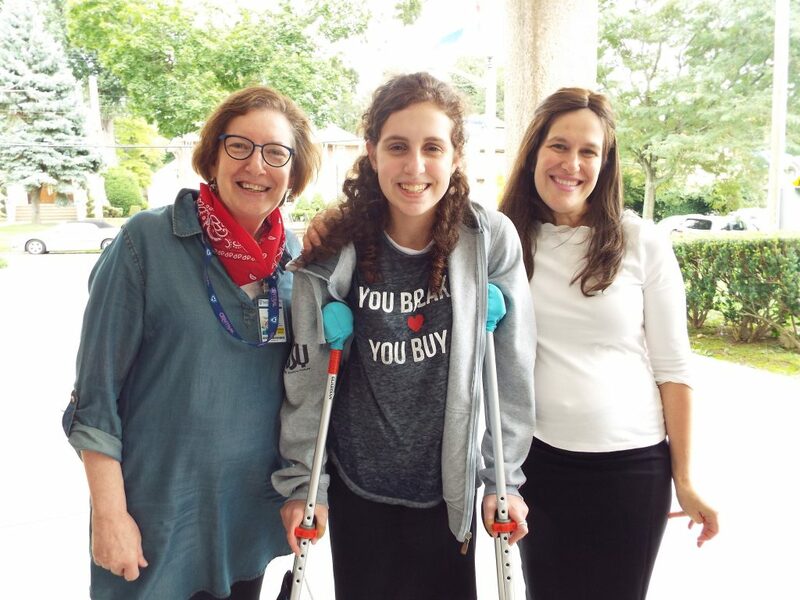 The following is a Q&A with Lindsay Bressman and Civic Spirit Educator Audi Hecht of Yeshiva High School for Girls / Central. Audi is the Chairperson of the History Department and teaches Civic Spirit, AP U.S. History, and AP U.S. Politics and Government. Why does teaching civics to high school students matter to you? I believe that teaching civics is especially pivotal in a culture that seems to undermine it. Civics is about opening the door toward productive dialogue and positive bridge building in the hopes of cementing solutions for our nation and communities to move forward. Civics is about connections within our close and greater community circles and what those connections ask of us. Ideas such as civic engagement, civic duty, and national pride are all key components that are nurtured through learning about these ideas from a historical and social responsibility lens. Can you tell us about Central’s Civic Spirit efforts this school year? Central has embraced the goals of Civic Spirit in an energetic, holistic, and robust way that has truly created a collective awareness of the many goals of this pivotal initiative. We have hosted a Town Hall, invited various elected officials to speak to the message of Civic Spirit, created a Civic Arts Performance, marked special national holidays in a way that evokes patriotism, pride, and meaning, and, in general, established an aura of Civic Spirit that has permeated the halls of our school and the hearts and minds of our students. When I visited Central, I was impressed with your Historical Society, can you tell me more about it? Central’s Historical Society is an enrichment club for history enthusiasts to explore topics of interest outside the classroom beyond the established curricula. Each year we select a theme–this year it is Women’s History–and provide various learning opportunities including film events, museum visits, guest speakers, and workshops. Recently, students had an opportunity to learn about the works of Betye Saar at the New York Historical Society. One of the attributes of Central that I truly admire is the many ways you integrate the arts into your civics initiatives. Can you tell me more about your Civic Arts Performance? We had about 12 students perform in “A More Perfect Union”, an original student-generated performance created by our Civic Spirit class and other Central students. The class has participated in a series of workshops, sharing ideas, crafting original pieces, synthesizing musical elements, selecting iconic historical photographs, and collaboratively working under the guidance of a professional actor, Mr. Tommy Russell, toward a collective artistic expression that we were proud to share with the Central community. What were your goals for this Performance? I envisioned having our students be able to pursue a creative aspect of civics education that went beyond activism or textual exploration. The performance allowed our students to truly integrate historical and contemporary themes in civics through producing their own performance pieces and performing in a dramatic compilation of the various pieces. The entire process was enriching on numerous levels. You also took your students on a civic field trip to the Paley Media Center. What made you decide to focus on media for a student field trip? Students, more than ever, interact with various forms of media and having the students explore the idea of how women have been portrayed by the media has evolved to reflect cultural norms and societal changes was eye-opening for our students and propelled them to think deliberately about what messages they receive and how those messages are rooted in many subliminal factors beyond what is conveyed on a superficial level. Can you share a text that you taught last semester in your Civic Spirit course? What is the correlation between the principle of association and equality? How is power distinct in aristocracies vs. democracies? How do associations act as government entities or bureaucracies? How does the historical context of the US in the 1830’s fuel the prevalence of associations in the US?